The first trailer of Arjun Rampal's upcoming movie 'Daddy' has been released and it seems like this film is going to be a game-changer in his acting career. The trailer was shared last night by Arjun Rampal on Twitter. He wrote, "The true story of a man who stopped at nothing. Here's the much-awaited #DaddyTrailer @DaddyRealStory @aishu_dil." The trailer starts with the poor condition of mill and factory workers in the early '70s, due to which the situation turned hostile. We see workers living in Dagdi Chawl slowly moving towards the underworld. Three residents of Dagdi Chawl in Mumbai form a gang (B.R.A.) and soon become one of the most dreaded groups in Mumbai. 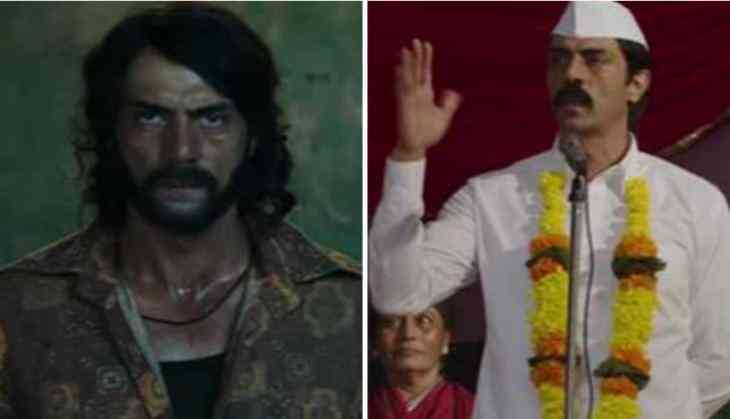 The two-and-a-half minute trailer, which recreates the 1970s Mumbai, is sure to leave you enthralled as it gives a sneak peek into the journey of gangster-turned-politician Arun Gawli, played by Arjun Rampal. Rampal is seen in the signature Maharashtrian attire and speaking with a perfect Marathi accent. The film also stars also stars Farhan Akhtar and Aishwarya Rajesh in pivotal roles. It covers the life of Arun Gawli who later became an MLA from Mumbai's Chinchpokli area. The film is slated for a July 21 release.